Robert Adam (July 3, 1728 – March 3, 1792) was a Scottish neoclassical architect, interior designer, and furniture designer. 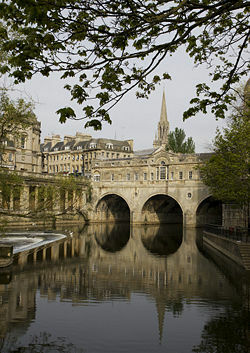 He is famous for his light, elegant, and airy style and the list of his buildings includes some well-known landmarks, such as the Scottish National Archives and Portland Place, London. His interest in the Classical legacy started during time he spent on the European "grand tour." The furniture he designed was intended to blend with the design of his houses. Adam was elected a member of the Royal Society of Arts in 1758, and of the Society of Antiquaries in 1761, the same year he was appointed Architect of the King’s Works (jointly with Sir William Chambers). As Britain acquired its Empire, some wanted grand buildings that would represent the might and wealth of the Empire. Some saw Britain's role in the world as similar to Rome's, that is, to bring order and law to those who lacked both. Adam's buildings, which alluded to but did not mimic, the Classical legacy hit the right nerve, suggesting both continuity between the new and the old and innovation, because the British saw themselves as, in some respects, different from the Romans in that Britain was a Christian nation (in theory), not pagan, for example, and some saw the task of evangelizing the world as integral to the imperial program. Adam was born in Kirkcaldy, Fife, Scotland, the second son of William Adam (1689–1748), a stonemason and architect who was Scotland's foremost designer of country houses at the time. His younger brother and business partner, James Adam, was also an architect of some note, as was his older brother John Adam, although both were overshadowed by Robert. 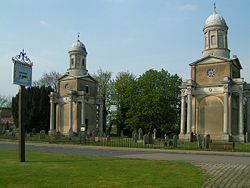 He is considered by many to be the greatest architect of the late eighteenth century, and a leader of the neo-classical revival in England and Scotland from around 1760, until his death. Sir William Chambers was the leading British official architect of the era, but Adam received many important commissions from private clients and had a more profound stylistic influence, termed the Adam style. Robert studied at the Royal High School, Edinburgh, then entered the University of Edinburgh in 1743, only for his studies to be interrupted by illness and the Jacobite Rising of 1745. In 1746, he joined his elder brother, John Adam, as an assistant to his father, and after their father's death in 1748, the two brothers became partners in the family business, then known as Adam Brothers. 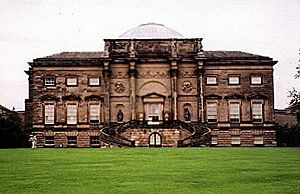 Their first major commission was the decoration of the grand state apartments on the first floor at Hopetoun House, near South Queensferry west of Edinburgh, followed by projects at Fort George, Dumfries House, and Inveraray. In 1754, Robert Adam set off for Europe on the Grand Tour of France and Italy, studying classical architecture and honing his drawing skills (his art tutors included French architect Charles-Louis Clérisseau and architect and archaeologist Giovanni Battista Piranesi). During this journey, he intensively studied the ruins of Diocletian's palace at Split in Dalmatia, later publishing The Ruins of the Palace of Diocletian, in 1764. He returned to Great Britain in 1758, and set up business in London with his brothers James and William, focused on designing complete schemes for the decoration and furnishing of houses. 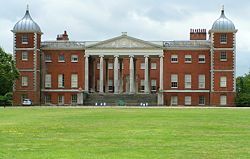 Palladian design was popular, and Robert designed a number of country houses in this style. But Robert evolved a new, more flexible style incorporating elements of classic Roman design alongside influences from Greek, Byzantine, and Baroque styles. The Adam brothers' success can also be attributed to a desire to design everything down to the smallest detail, ensuring a sense of unity in their designs. Adam was elected a member of the Royal Society of Arts in 1758, and of the Society of Antiquaries in 1761, the same year he was appointed Architect of the King’s Works (jointly with Sir William Chambers). His younger brother James succeeded him in this post when he relinquished the role in 1768, in order to devote more time to his elected office as Member of Parliament for Kinross. Robert Adam died suddenly at his home, 11 Albermarle Street, London, after a blood vessel in his stomach burst. He was 64. He was buried in Westminster Abbey. He left nearly 9,000 drawings, most of which were purchased by the architect John Soane and are now at the Soane Museum in London. 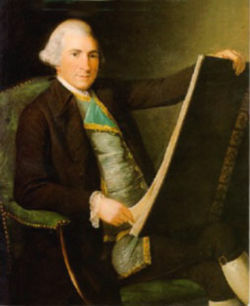 Robert Adam was known to enjoy the company of many well-to-do contemporaries. He was a talented individual who excelled at his craft and was not unaware of his abilities. He is arguably Scotland's most renowned architect and was also a highly skilled furniture designer in his time. European and ancient influences came to play a role in Adam's creations. He was unconventional in his designs and thus he would win wide acclaim for his bold pieces. ↑ Leland M. Roth, Understanding Architecture: Its Elements, History and Meaning (Boulder, CO: Westview Press, 1993), 397. ↑ Geoffrey Beard, The Work of Robert Adam (New York: Arco Publishing Company, Inc., 1978), 17. Adam, Robert, and James Adam. The Works in Architecture of Robert and James Adam. Mineola, NY: Dover Publications, [1773-78, 1779, 1822] 2006. Harris, Eileen. 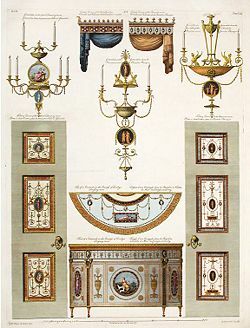 The Furniture of Robert Adam. London: Alec Tiranti, 1963. ISBN 0-85458-929-5. Lees-Milne, James. The Age of Adam. Temecula, CA: Reprint Services Corp,  1988. This page was last modified on 14 July 2015, at 15:30.